1. Kit container: I currently am using a shopping trolley – a nice big one I found at Winners for $19.95. There were two others there at the time and I have been kicking myself ever since for NOT buying at least one extra. I did find one that is smaller at the Co-op for $8.88 so I bought it – I use it for my demonstration kit. 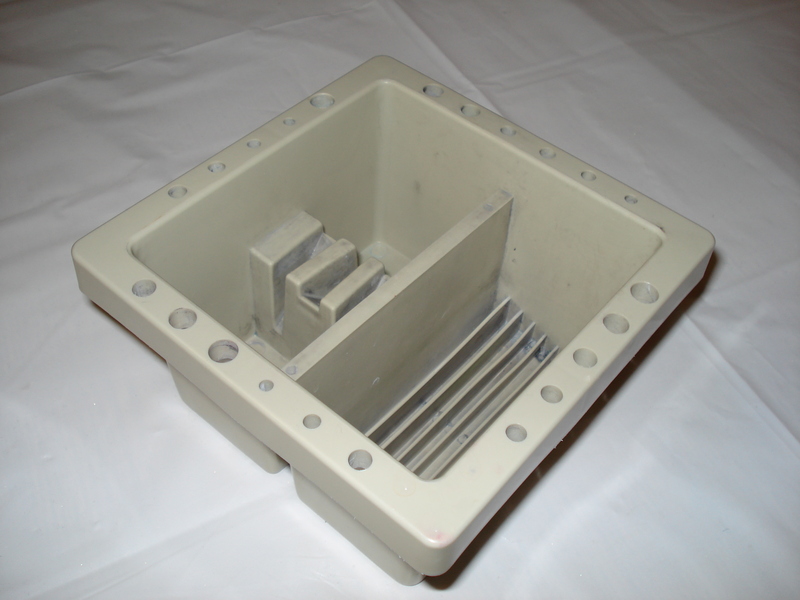 I use a small plastic shoe drawer for transporting the bits and it fits in the bottom of the trolley, and sits on the table when I work to hold the lids and things I’m not using. 2. Table cover and towels: In this photo I was using dark green, I’ve now changed to a black fabric (polyester) table cloth and black towels. I cover the table (client supplied) with the tablecloth then lay down a towel on top. 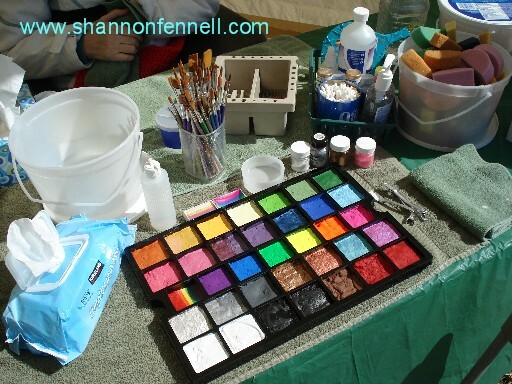 I set-up my palettes on the towel… handy to blot things, soak up drips and protect from spills. I have a couple of matching hand towels and a wash cloth as well. I cover my lap with one hand towel and the others are for blotting, wiping and emergencies. 3. Signage: Depending on the size and type of event I have different displays, and have changed and adapted some of them over time. I always have my tabletop signs out (see above photo). The acrylic stand with the business card holder is my general disclaimer and the other one is my age disclaimer. I have an A-frame floor sign that I use for all public and corporate events. This sign has sliders so that I can post event specific information. I also use it for design display for events where the larger displays won’t be convenient. 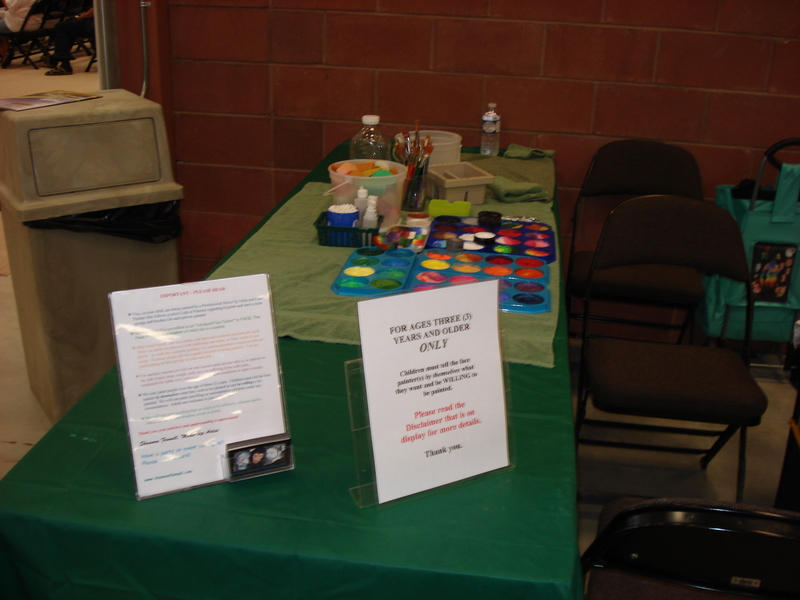 I had a table top display unit that I used for large festivals and corporate events. Both sides were used. This was a commercial trade show display that was pretty heavy and had a carrying case. I sold it and went with a lighter display. 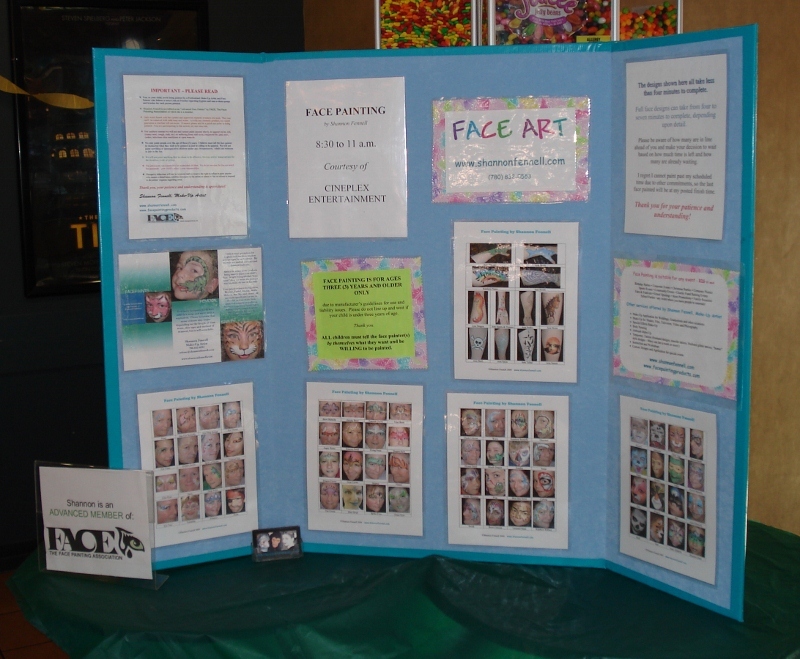 I made a light weight display board that I use for my “Fast Faces” display for high volume events. You can read about how I made this here. 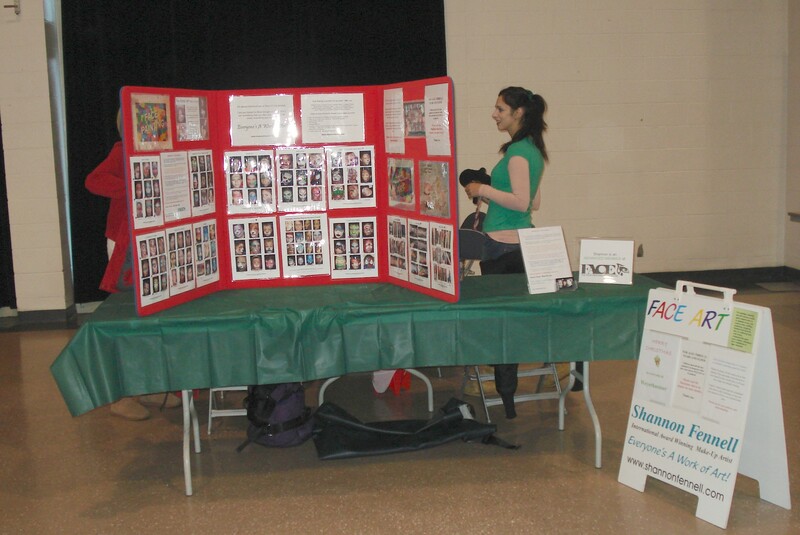 I have a binder with laminated sheets for small events and parties where the larger display and signs would be too much. 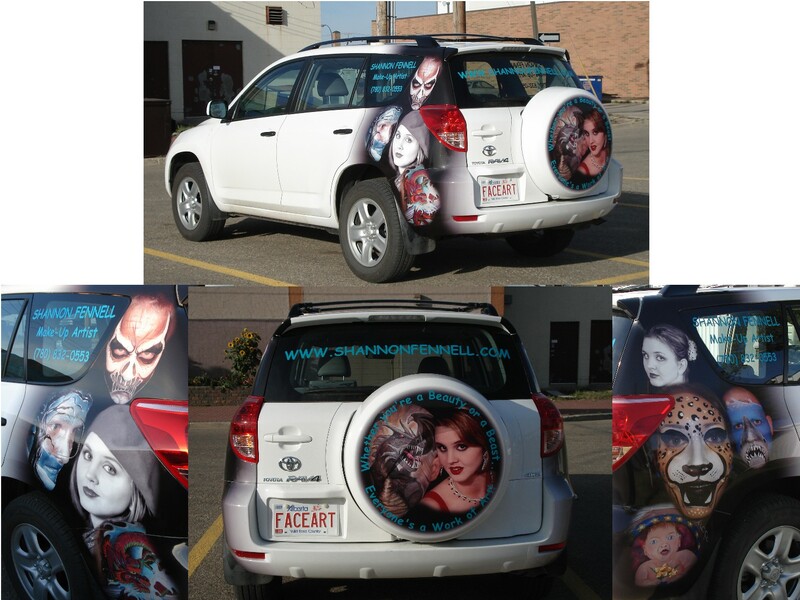 For some outdoor events I am able to park my car right beside my shelter – it makes a good wind break as well as a great billboard. 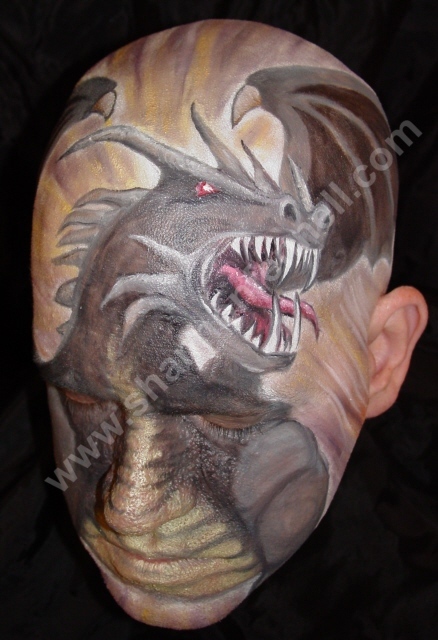 It contains mostly Kryolan, then Snazaroo, Grimas, TAG, Wolfe and Funky Foxes. 5. Sponges: I use mainly tack sponges (tack as in for cleaning leather tack such as saddles.) They are soft, firm, durable and resist staining for the most part. I have some that are 15 years old and still going strong. 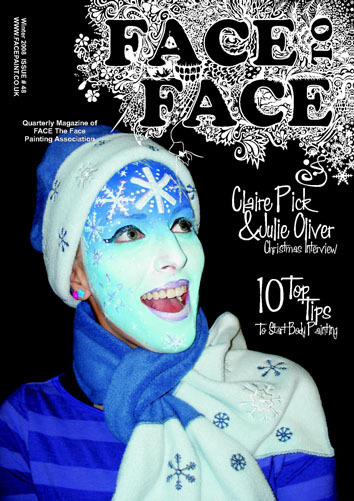 They are less than half the price of the “face painting” sponges and can be found online and in tack stores. I also use a variety of other sponges. 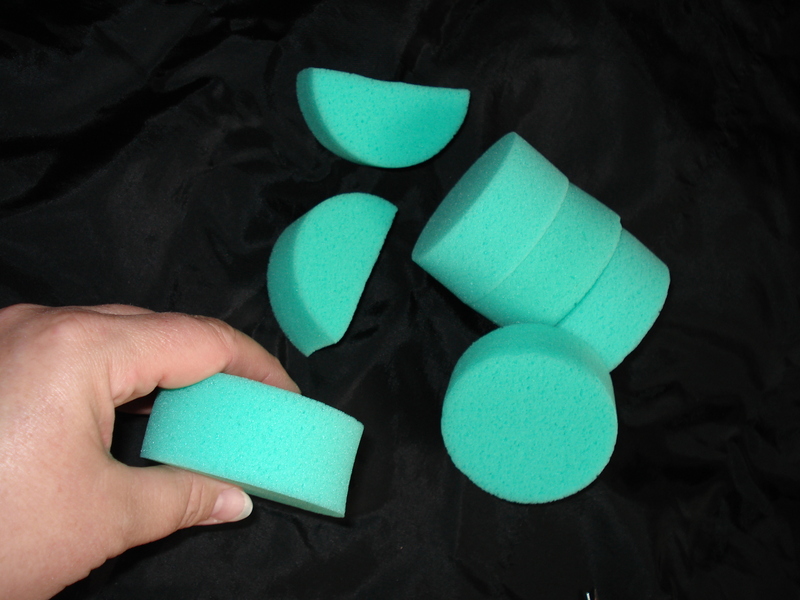 Fantasy Worldwide has green sponges that are the same size and shape as the tack sponges but are much softer… they are very nice. I transport the sponges in ice cream pails with lids. I have an empty bucket for putting the used sponges in. 6. Brushes: I use just about anything but am partial to #4 round kolinsky sables. 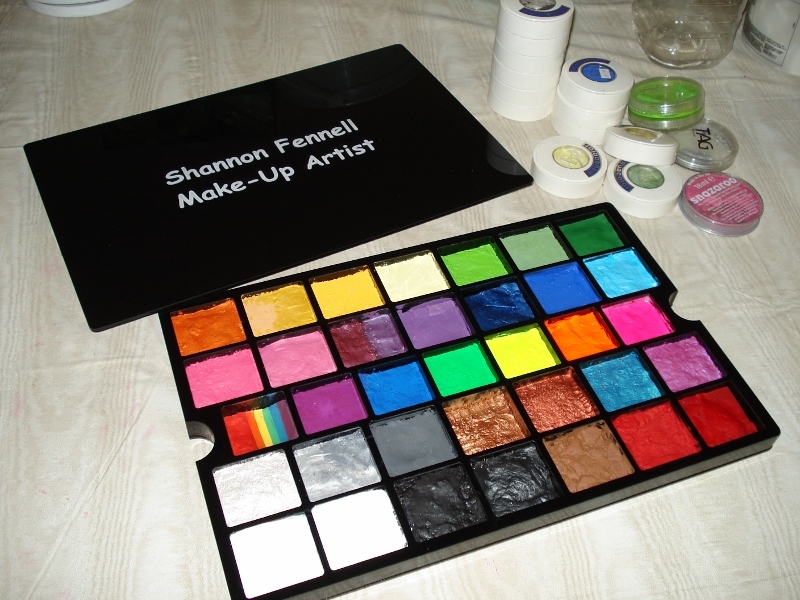 I buy my brushes at art supply and craft stores – water-colour brushes in natural and synthetic hair. I keep them in a small acrylic vase on the table. 7. Water: I add water to my cakes and use dry sponges and brushes so I carry a 4-ounce squeeze bottle of water for this (see the above photo.) I carry water for filling my water tub in a gallon jug (recycled fruit juice jug). 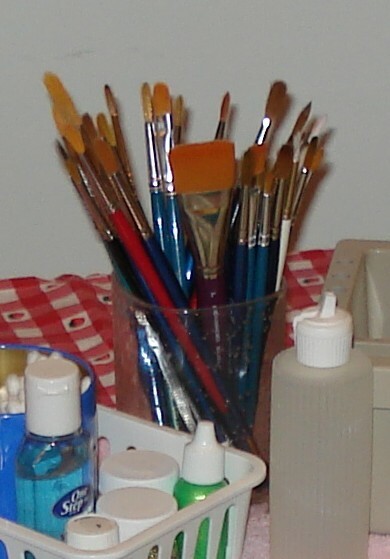 I use a “Brush tub” for cleaning and rinsing my brushes, and for standing them to dry. 8. 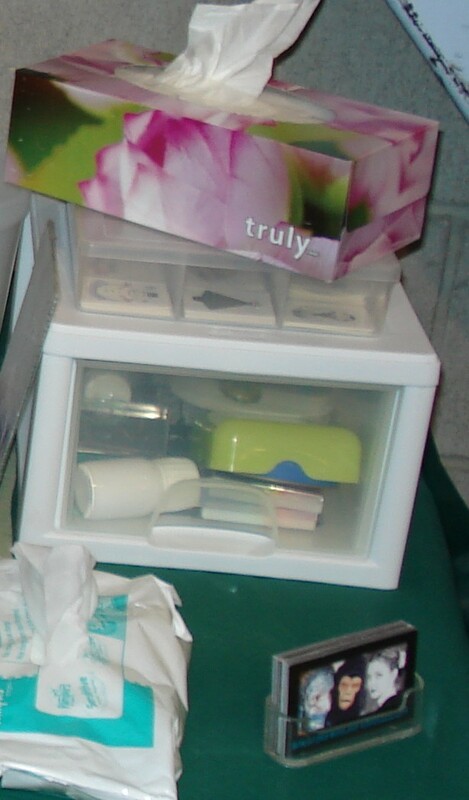 Other basic stuff: Tissue, wet wipes, four colours of dry glitter (in small jars), a couple of colours of glitter gel in squeeze bottles, hand sanitizer, q-tips, 70% isopropyl alcohol for sanitizing my brushes, container for the alcohol, soap (bar of Ivory in the yellow soap dish for washing the brushes before rinsing and sanitizing), metal duck-bill hair clips, hand mirrors (two as one is a back-up because accidents happen), and a small dish for clean water to wet sponges/brushes when using the split cakes. 9. Miscellaneous: I also carry scissors, rope, surveyor’s tape, duct tape, tylenol, spare cakes of black, red and white, some lick n’stick tattoos, foldback clips for holding the table cloth to the table on a windy day and bug spray. So that’s about it. Sometimes I will take along all my Liquid Bling, or additional split cakes in different combinations, depending on the theme or season. And all of it fits in the trolley as it is shown at the top! This is so useful! 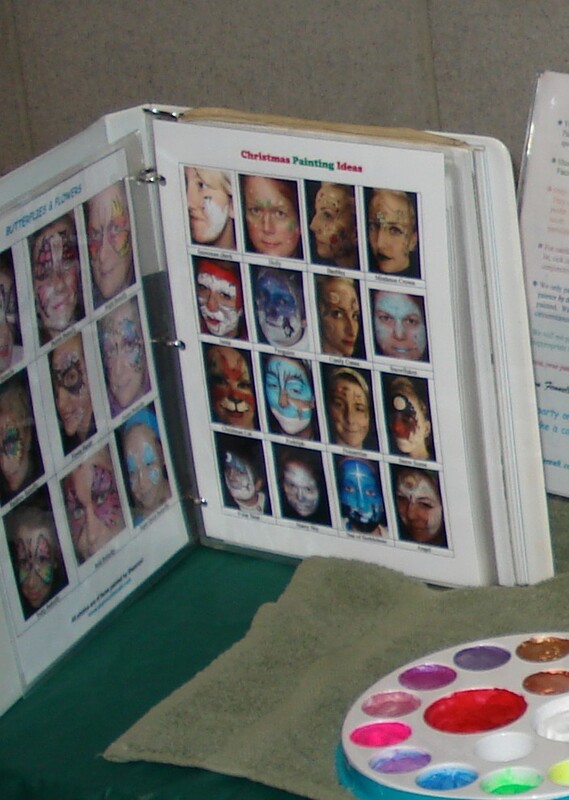 I’ve just started getting more into doing face painting and am fascinated with how you’ve got things organized. But, I’m especially intrigued by the Liquid Bling. Who makes it? Where do I get it? Liquid Bling is made by Amerikan Body Art. You can google them. My set-up has changed a bit. But I still work the same. I use clean brushes and sponges for every person. 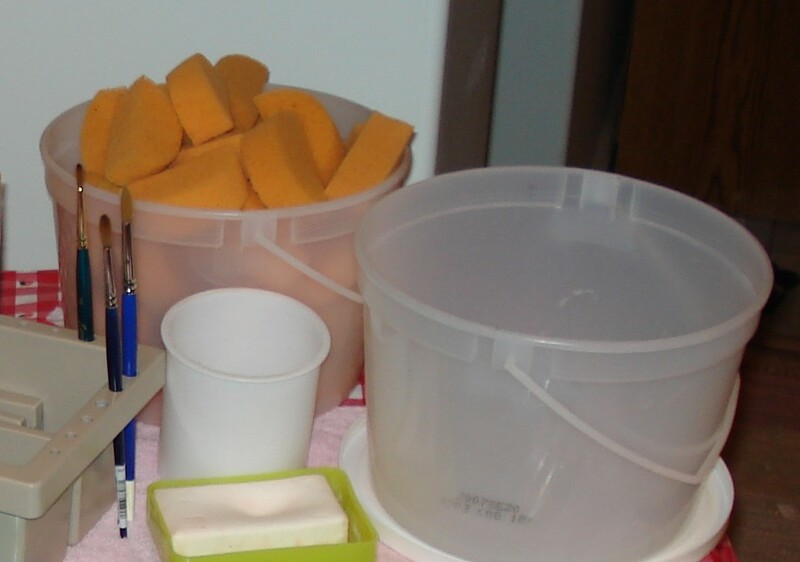 The used sponges go into a bucket to be cleaned later at home, and the brushes are cleaned and sanitized before being used again while working. 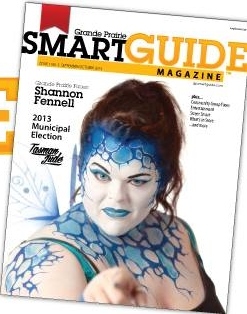 In Alberta we have specific Health Regulations for Face Painting that MUST be adhered to. Wow. It seems like it would be cost prohibitive to have all of those sponges and brushes. But, it’s making me think. I saw a blog post on Silly Farm about a brush cleanser. I’m going to have to look at making changes. Thank you. 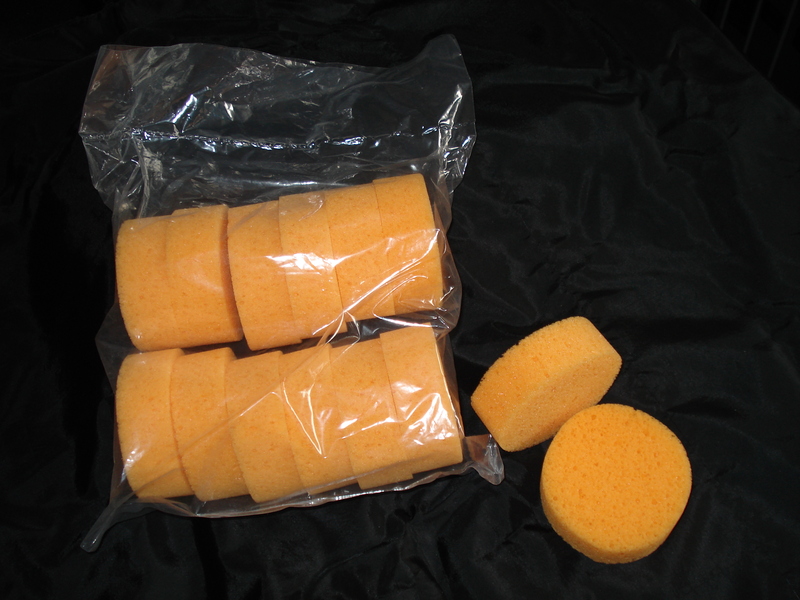 Good sponges last for years – I still use sponges I originally purchased in 2003, and they are still in excellent condition. I usually have approx 30 brushes in use when painting solo. Commercial brush cleaners aren’t really suitable as they can contain potential allergens, and also don’t really get the colour out of the brushes, in my experience. Thanks for the post, so much useful info! I love the A-frame sign you have, where did you get it from? I had it made at SpeedPro Signs. It is wood with a plastic hinge/handle and sliders that I can mount signs on. You’re welcome. Glad it was helpful to you.